That is awesome, now I can jump fully into the charts. Thanks, that'll be real helpful. I just didn't want to spend a lot of paper on printing tons of cards when I could definitely get two to a page at least. Does anyone like printing multiple commons? According to the rules, you don't need multiple commons cards unless you have two players who have the same common (which they could also each have the same unique) but you would only need multiple cards for UnCommon figures, for which there is non in C3V, but the SoV Zombie Hulk is and I have a separate page for him. However I understand some people like multiple commons just for the sake of consistency with official figures coming with a card per squad or hero, and so you know how many squads you have when you are drafting by card. So I may change to make common cards separate, but let me know if this is useful. 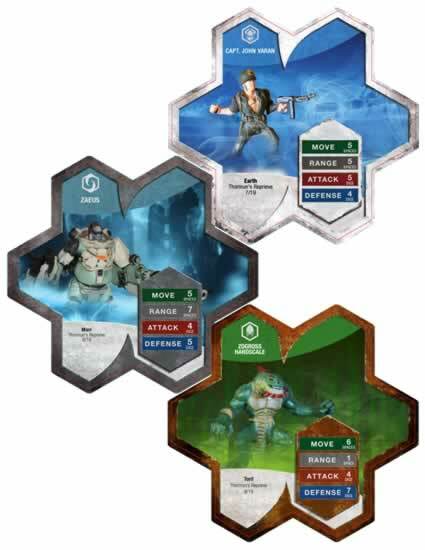 Also, there is 4 common units this wave and I am not going to make everyone happy no matter how I split the cards because people may want different amounts of each figure so some printing will be wasted. FYI - I tried to have it printed at OfficeMax today - but they were idiots as they did not know how to flip the paper properly so the backs printed on the back side, in the right direction, and on matching sheets with the fronts. So after an hour of being there and twice as many messed up pages as correct ones I bought some individual paper to print for later and left. I will cut the ones I have tonight and see how it lines up. I suggest everyone buy some 80 lb card stock w/ semi-gloss finish (really hard to find) and print on your own. If anyone finds any 110lb semi-gloss, please let me and others know where. Last edited by lefton4ya; September 29th, 2011 at 10:41 PM. lefton4ya, my suggestion of how to divvy up the cards was in another thread. I, for one, would like multiple copies of Common or Uncommon cards. I will cut the ones I have tonight and see how it lines up. 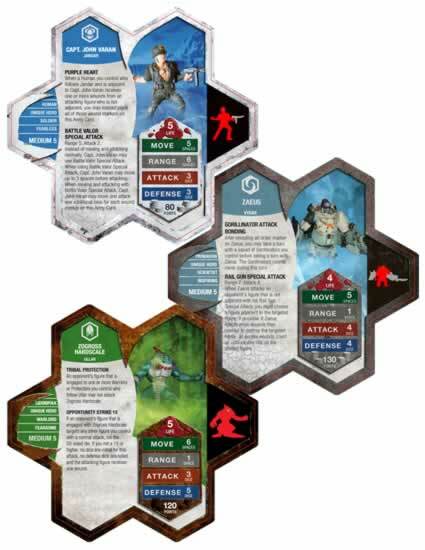 After enlarging the PDF, the Mariedians and Thrall's Advanced card side edges are overlapped slightly by their neighbors; the Gnids basic side is also overlapped slightly. Given the choice, I'd prefer the basic side overlapped. This is a great resource, though. I appreciate all the hard work that's gone into it. Hey thanks, Lefton4ya. Those are great for spending less paper on the project. I'd give you some rep, but apparently you do too much good work for that, and I can't give you any more right now. I'm now officially sucked into C3V. I've bought a lot of figures today. Congrats, MegaSilver--it's a wonderful addiction. Love these units! Updated with links to the Zettian Infantry. We now have four units in the OP beginning with the letter "Z," for those keeping score at home. Just pointing out that in the first post the SoV* for Zettian Infantry is next to the link in the Alphabetical and By General spoilers, but not on the By Induction Date one.